For my birthday this year, I decided to do something different. Dinners and parties are great… but not this year. This year, we were lumberjacks. I have been hearing buzz about axe throwing for the last few months. Turns out it’s the hip new thing to do in Toronto. Since there aren’t too many opportunities to hurl an axe, I wanted to give it a try! 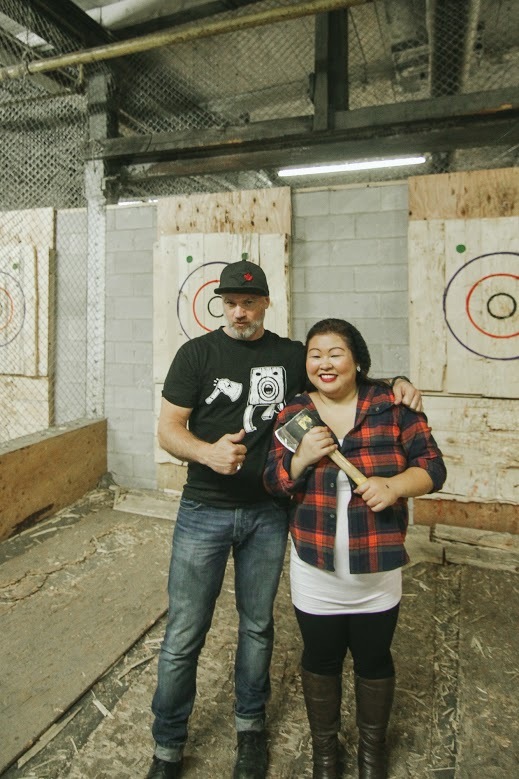 The Backyard Axe Throwing League (BATL) is a league that meets at two locations in downtown Toronto to throw axes both recreationally and competitively. 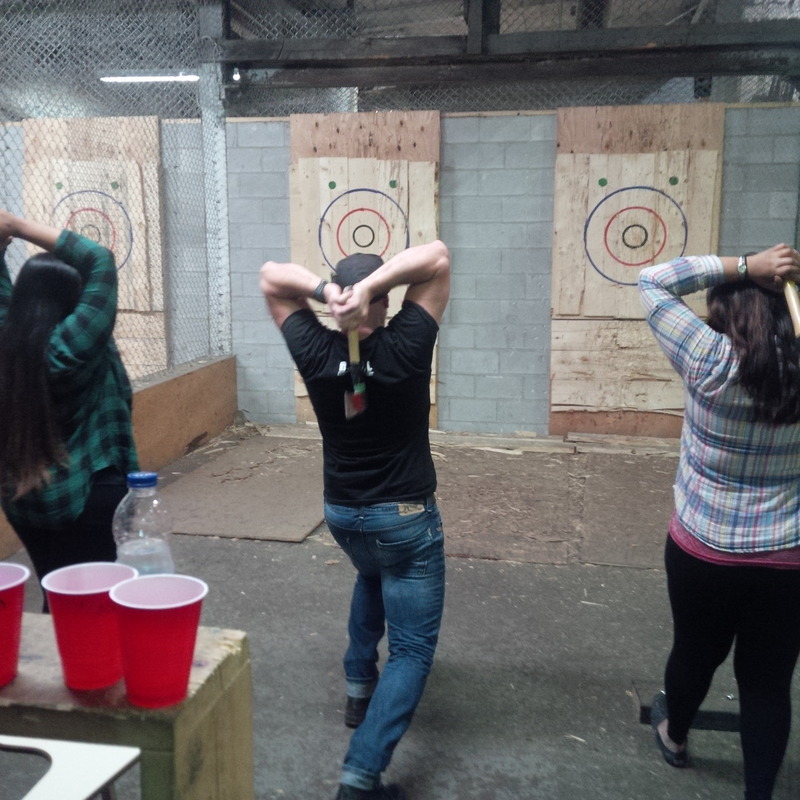 In addition, private event packages are also available where staff will facilitate axe throwing competitions for groups of non-league members who want to give the sport a try. The cost is $40 per person and you will need a minimum of 12 people. For my event. I headed down to the Villiers location of BATL with 20 friends. We were unsure what to expect as only two of us had ever thrown axes before. Yay for new adventures. A huge perk of booking an event at BATL is that you are given the use of a refrigerator and counter space so that you can bring your own food and drinks. This includes alcohol as long as it comes in a can or plastic bottle. The only exception to this are wine bottles, which are permitted as long as you also bring plastic cups. So beer, pre mixed drinks/coolers and wine are all welcome. We brought all of the above, as well as lots of munchies. Our session was booked for 8 pm on a Friday night, when we arrived we were shown a space that had been reserved for our group. 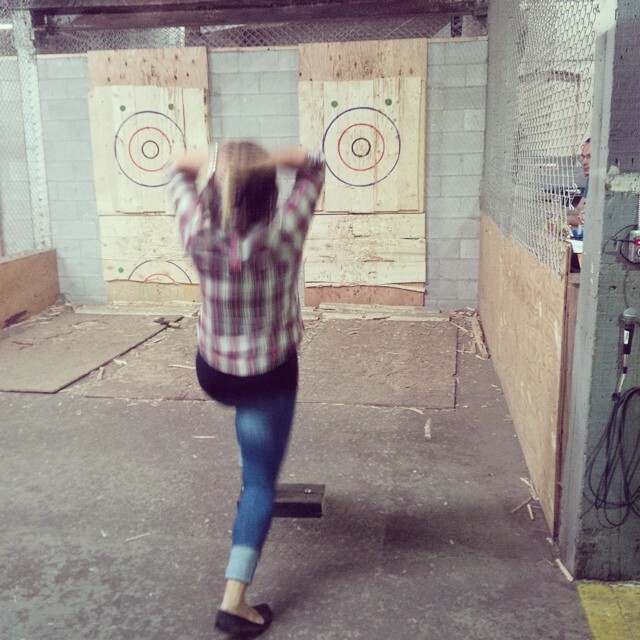 It had two axe throwing lanes in a caged off area as well as lots of space to hang out and socialize. There were 3 or four areas like this with other events going on in the large warehouse. BATL staff had us sign waivers as we arrived, and gave us time to settle in before introducing themselves and briefing us on how the tournament would work. Two BATL staff members started by grabbing pairs of people from our group and giving them a lesson on throwing the axe and stance, with a few practice throws. Once everyone had been trained, it was time for the tournament. I was a bit nervous about how a tournament could be facilitated with such a large group without chaos ensuing, but the BATL staff was absolutely fantastic. The staff will literally take care of everything. They organized an amazing game for our whole group. Everyone got lots of opportunity to throw, and playing against each other was so much fun. 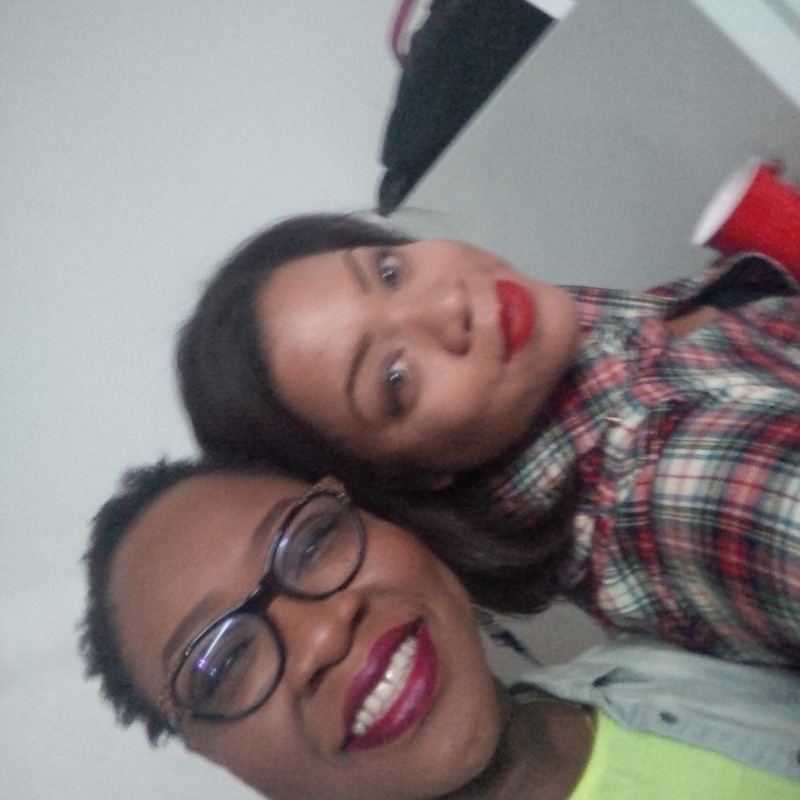 Because there were drinks and food, no one was ever bored waiting for a turn. 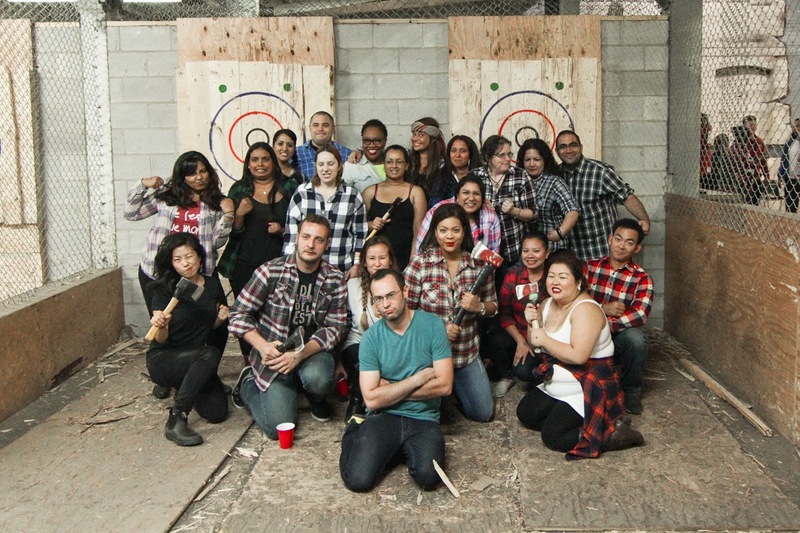 It was like a party with a side axe throwing tournament…there was also time for the odd TNL selfie. 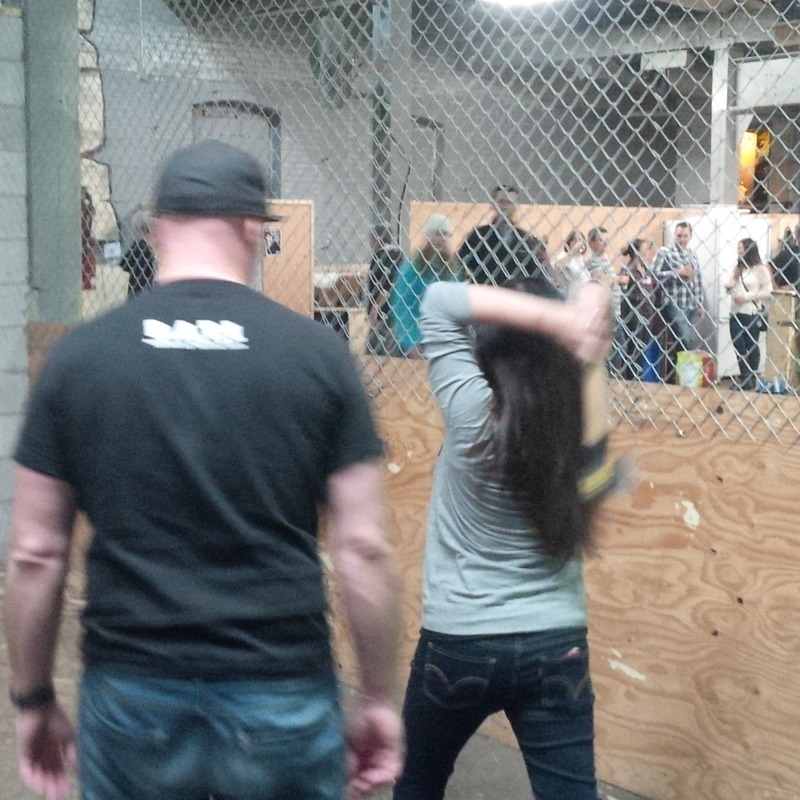 As for the actual throwing of the axes, it is so much fun! It is definitely safe, the lanes are set up with fencing all around and boundaries clearly marked so there are no rogue flying axes. Throwing the axes is not difficult because they aren’t too heavy. Most of the time, the axes you throw are small, short handled hatchets that aren’t too heavy. Tie breakers are extra fun because you get to use the big, long handled axe, lumberjack style! Although the actual throwing isn’t too hard…hitting the target is another story. Some of my friends were naturals. I was hit and miss. Literally. This was so much fun! Leave it to TNL to find something new and cool for us fans to try. I am totally hooked now, and can’t wait for another opportunity to hurl an axe!